The NZ Laser Association supports racing Laser sailors and regattas at home and overseas. Come and join us. Congratulations to the NZL Radial team who made a great showing at the Aussie Nationals. In this video from minutes 5 to 15 there is great coverage of the last race before the medal race in the Laser Radial. Sara Winther is sailing for a place in the medal race and qualification for the Olympcs (no pressure). More Laser Radial action from a few days earlier. From minutes 5:30 to 15. No great suprises but still nice to know. 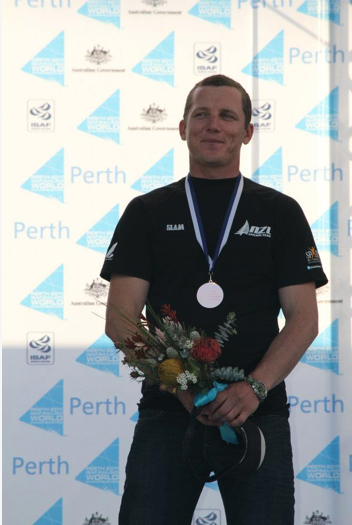 Following top 10 performances in Perth, Andrew Murdoch and Sara Winther have been officially selected as our NZL Laser sailors for the London Olympics. Congratulations to them, a huge amount of work already, a magnificent achievment, and much more to come. Peter Burling and Blair Tuke (49er), Jo Aleh and Olivia Powrie (women’s 470), Andrew Murdoch (laser), Jon Paul Tobin (RS:X), Paul Snow Hansen and Jason Saunders (men’s 470), Stephanie Hazard, Jenna Hansen and Susannah Pyatt (women’s match racing) and Sara Winther (laser radial). 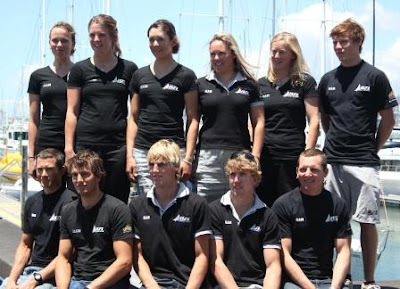 Quite an impressive lineup and a credit to the sailors and NZ Yachting coaching and development staff. I have just finished competing in my first ISAF World Champs. It was an amazing regatta to be a part of, it was a huge event! Click to read my update from the regatta . Thanks to everyone for their support, I am looking forward to a holiday over the Christmas period, but am already excited for next year! The 2012 Worlds are only 5 months away which is pretty cool and I have the NZ Nationals and Sail Auckland both coming up at the end of Jan.
Ed: Andy also points out some great Laser sailing video especially between minutes 4 and 16. One fairly comprehensive viewpoint on the recently trialled Carbon Laser Top Sections by Rob Kothe at sail-world.com. The South islands in Dunedin at MacAndrews Bay Yacht Club on 10th, 11th Dec. It was 15-25 knots NE on Saturday & we got 5 races in. Sunday was cancelled due to too much wind! Alex Morris from Dunedin won the Full Rigs for the 3rd year in a row. In the Radials the masters dominated, with Hamish Atkinson and Murray Bain 1 & 2 in all 5 races. Craig Atkinson won the 4.7’s which surprised everyone as he hadn’t sailed since last years Nats. 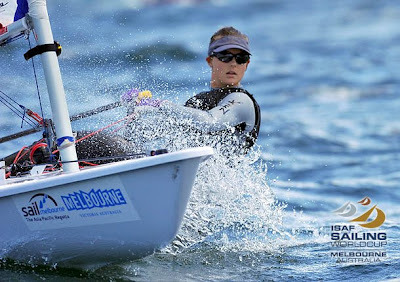 We had top 10 finishes from Sarah Winther, Miranda Powrie, Andy Maloney and Josh Junior at the 2011 Sail Melbourne - 7th - 12th November. Good form from Miranda in Melbourne.